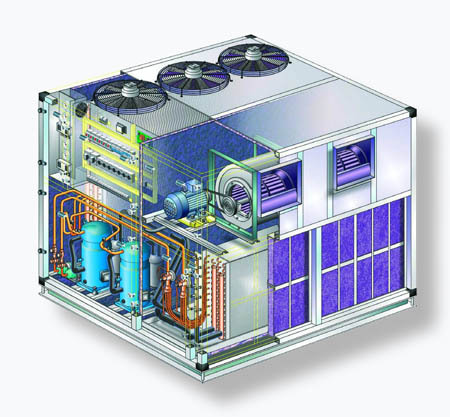 Haargaz-Unique-PCP air conditioners are single package large commercial units that can be utilized in applications such as industrial and commercial buildings, large offices, schools and other large facilities. Haargaz-Unique-PCP Air Conditioners are made of insulated cabinet reinforced with aluminum frame and the panels are made of painted and oven-baked steel sheets. The operation of Haargaz-Unique-PCP air conditioners is quiet and durable with low maintenance requirements and provides efficient year-round cooling and heating. Haargaz-Unique-PCP air conditioners are available in wide range of capacities and are suitable for ground installations as well as for rooftop installations.